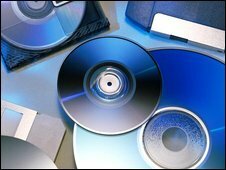 Long lost file formats could soon be resurrected by pan-European research. The 4.02m euro (£3.58m) project aims to create a universal emulator that can open and play obsolete file formats. Using the emulator, researchers hope to ensure that digital materials such as games, websites and multimedia documents are not lost for good. The emulator will also be regularly updated to ensure that formats that fall out of favour remain supported in the near and far future. Called Keeping Emulation Environments Portable (Keep), the project aims to create software that can recognise, play and open all types of computer file from the 1970s onwards. As well as basic text documents it will also let people load up and play old computer games that technology has left behind. "People don't think twice about saving files digitally - from snapshots taken on a camera phone to national or regional archives," said Dr Janet Delve, a computer historian from the University of Portsmouth and one of the research partners on Keep. "But every digital file risks being either lost by degrading or by the technology used to 'read' it disappearing altogether," she said. Without work to preserve ways to access the formats that are common today, 21st century citizens risk leaving a "blank spot" in history, said Dr Delve. Already the number of unreadable documents in archives is beginning to mount up. Britain's National Archive estimates that it holds enough information to fill about 580,000 encyclopaedias in formats that are no longer widely available. Research by the British Library estimates that the delay caused by accessing and preserving old digital files costs European businesses about £2.7bn a year. "We are facing a massive threat of the loss of digital information. It's a very real and worrying problem," said Dr David Anderson, who will work with Dr Delve on the UK end of the project. "Things that were created in the 1970s, 80s and 90s are vanishing fast and every year new technologies mean we face greater risk of losing material," he said. Dr Anderson said emulation was more workable in the long term than the usual method of preserving old files which involves migrating information on to new formats with its attendant risks of data degradation and corruption. Is the future in bits? Are text messages worth keeping?